Short and sweet. 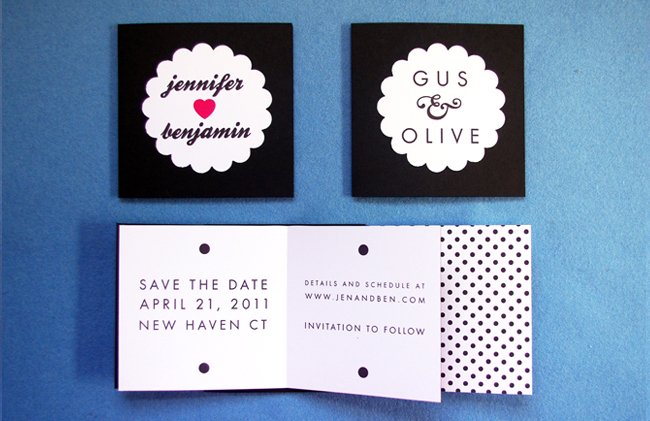 A window is die-cut into a colored outer card to reveal the couple's names. Inside the card, the event information is printed on the pages of a small book. Fonts, layout, and colors are all customizable. Each set includes a folded card, a 5 x 5 inch square envelope.